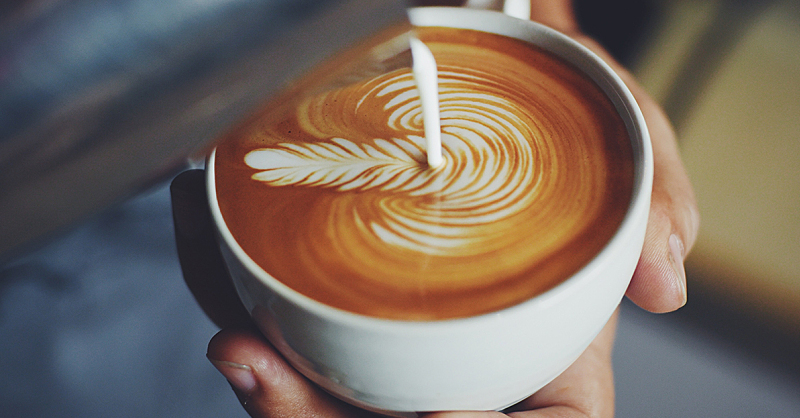 New research is giving extra credit to those expensive cups of java you guzzle every morning. If you need reassurance that your daily coffee is a healthy habit and not a vice, science is here to help you feel validated. One recent study from the University of Southern California (USC) found an association between drinking the good stuff and living longer. The research, published in the Annals of Internal Medicine, included more than 500,000 people from 10 European countries. The participants answered questions about their lifestyle and coffee consumption (whether, in general, they drank one cup a day, two to three cups, four or more cups, or their coffee habits were more irregular), every five years. Through their roughly 16-year analysis, the authors were able to determine that the group of high-coffee consumers were less likely to die during the study than non-coffee drinkers, and all coffee drinkers were less likely to die from digestive diseases. Women, specifically, were found to be less likely to die from circulatory conditions or cerebrovascular conditions (dealing with the brains’ blood vessels), but with one unfortunate exception. Researchers did find a positive association between coffee drinking and ovarian cancer. It’s important to note, however, that research on caffeine and health risks is constantly evolving, with contradictory evidence sprouting up constantly. So it’s probably best to take these results with a grain of salt—or, should we say, a drip of java. It’s possible that the longer life spans are due to other lifestyle factors rather than coffee consumption. For example, are the same people guzzling coffee also buying healthier foods, going to the gym, and seeking preventative medical care? While that might be a fair theory, previous research doesn’t hold it up, as another study found that although coffee drinkers did live longer than non-coffee drinkers, they actually ate fewer fruits and vegetables, as well as drank alcohol and smoked, as we reported in Your Daily Cup of Coffee May Be Linked to a Longer Life Span. Researchers did consider other lifestyle habits, such as smoking and alcohol consumption, that could have a negative effect on someone’s life span, as well, says Veronica W. Setiawan, Ph.D., lead author of the study and an associate professor of preventive medicine at the Keck School of Medicine of USC.